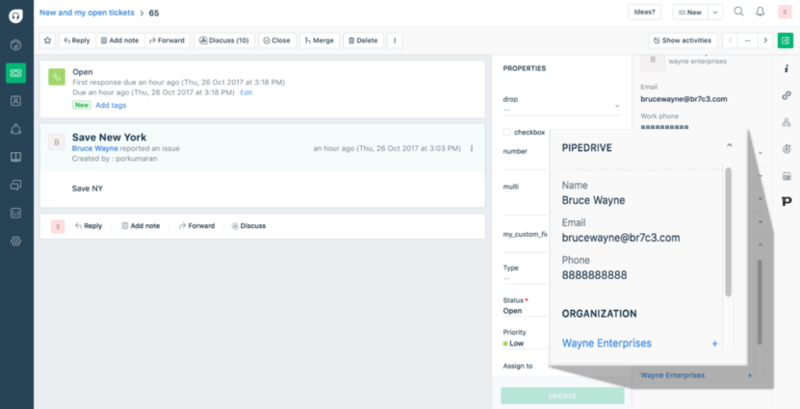 The Pipedrive app allows you to view complete customer information including details of ticket requester, associated Organization, and associated Activity from Pipedrive, right within your ticket detail page. If there is no Pipedrive entry for that customer, agents can simply create one with a single click. 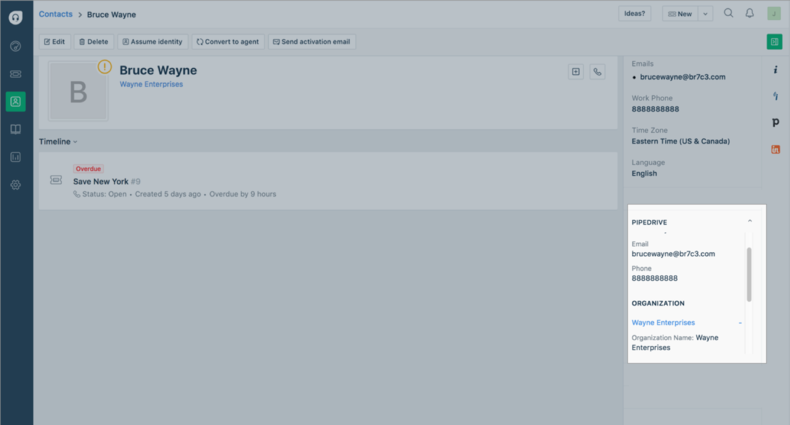 - The ‘Create Contact’ link creates a new contact inside Pipedrive CRM. 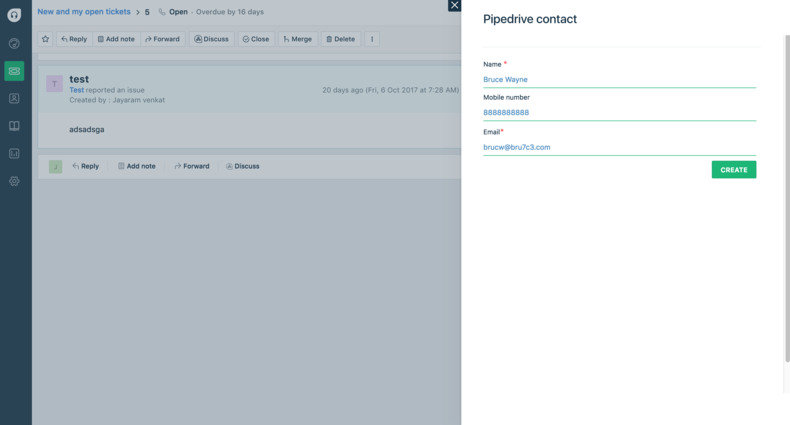 Make the most of the Pipedrive app to gather all customer information and provide personalized and targeted customer service. 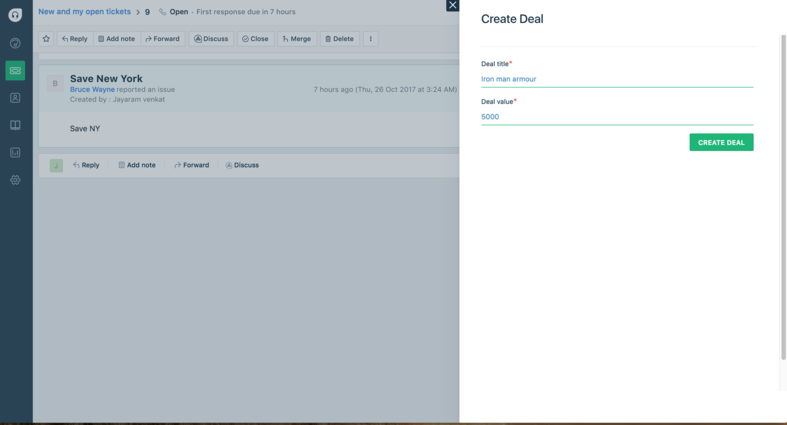 Access Key: Pipedrive API key - A support agent can get the API key from the Pipedrive portal. - Select user settings from the top right drop-down menu. Paste it into the Pipedrive app and it is good to go.